The Schouwburgplein (Theatre Square) is situated in the city centre of Rotterdam, which was rebuilt and modernized after the WWII bombing. The city’s most important cultural institutions in performing arts are located around the Schouwburgplein, attracting millions of visitors per year. The square is also close to the modernist Lijnbaan shopping complex, an icon of the reconstruction of Rotterdam after the war and the first major pedestrian-only shopping street in the world. Despite the many visitors to the institutions and the nearby shopping streets, the square has been a void in the city instead of a place for (cultural) gathering. One important challenge is to reveal the cultural richness and the modern heritage of the buildings to the citizens, and to bring life to the square. As the Schouwburgplein is just outside the main flow of pedestrian traffic, people don’t coincidently pass by. Also, theatre-goers tend to arrive just before their show and depart quickly after, spending little time on or around the square. Three main goals were set in order to make the square more attractive: improve the physical quality of the square, bring visibility to the culture inside the buildings, and activate the square with programming and events. place. In recent years many changes have occurred. Spatially, the mobile seatings “Enzo’s” and a small outdoor stage were placed on the square. The association has also built a multi-annual program to activate the square, working in close collaboration with the cultural institutions. Control is ensured on the basis of a location and activity profile in which the character of the square and the type of activities are determined. Furthermore coordination takes places with the other squares in the city to align activities and events. Create a representative association. 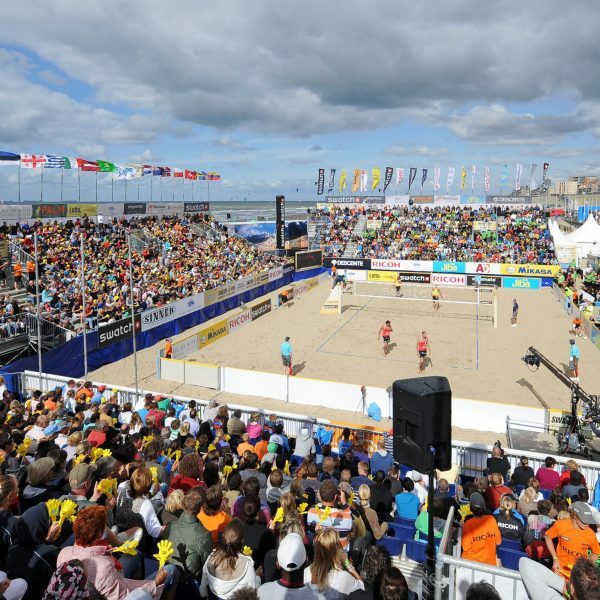 The association is the main contact for all activities and ensures quality control for all events. A program leader collaborates with the cultural institutions and programs the cultural activities. Additionally, a “square master” functions as the liaison between the surrounding residents, entrepreneurs, and with the municipality. Connect the inside and outside of the buildings. The buildings of the cultural institutions around the square were internally focused and didn’t display what is happening inside. The theatre’s lobby is now open to the public, and the concert hall is undergoing renovations for a more hospitable and open entrance. Program, program, program. 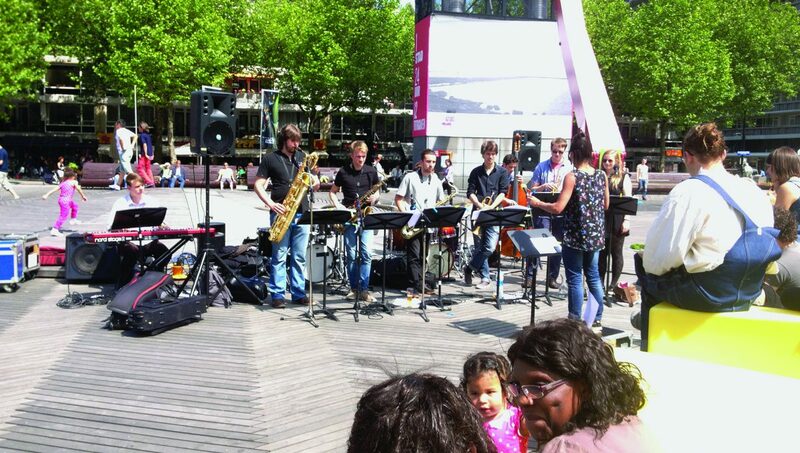 To turn the Schouwburgplein into a lively public place, more activities and events were needed. New activities and events on the square have activated the square and attracted new visitors. Determine the proﬁle of the place. Regulate the kind of activities and events according to the quality profile of the square and its institutions. For Schouwburgplein, this is the starting point for all activities and events. The locations profile has an official status, determined by the city council, and has some strict rules on noise and type of events. The location profile is also useful in the communication with the surrounding residents, when discussing possible events. Slow transformations and small steps: instead of some big events and activities, the association is working on a longtime transformation of the square. It takes time to build new cultural traditions and to change the physical appearance. These slow transformations apply to the nature of being a city. The primary output is an active and structural cultural program (from 2011 onwards) with events organized by the cultural institutions and ‘external’ parties. Part of the programming are larger more-day events that recur every year (such as the Circus City Festival, the 24 Hours of Culture Festival, and the Dance Week), but also small weekly events on Sunday like yoga sessions and performances. In 2009, only 11 events took place on the square; in 2014, that number increased to 60 events. These events on the square attracted 75,000 visitors. The eventual aim is to offer around 100 events on the square in 2016. 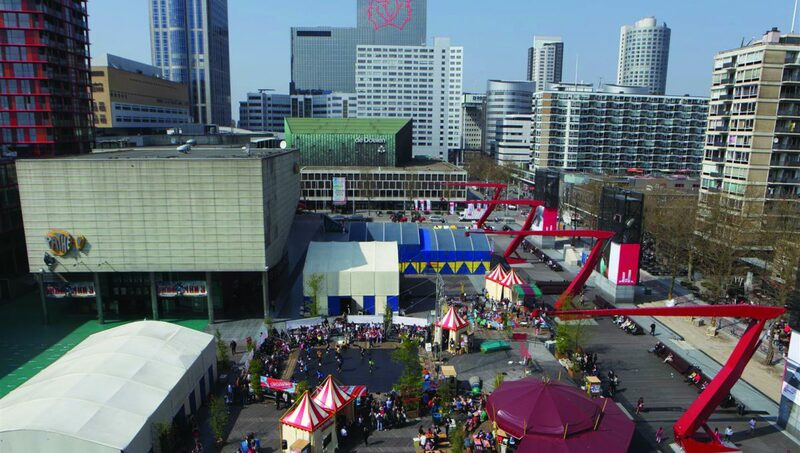 More than before, Schouwburgplein has gained a reputation as a cultural square in Rotterdam. The slow transformation of the Schouwburgplein into a vibrant cultural square consists of physical, functional and organizational aspects. The association works well for all parties to collaborate on the improvement of the square, both physically and functionally. While upgrading the quality of the public space and strengthening the relation with the plinths of the building, the programming of cultural events and activities will attract more visitors and bring public life to the square. 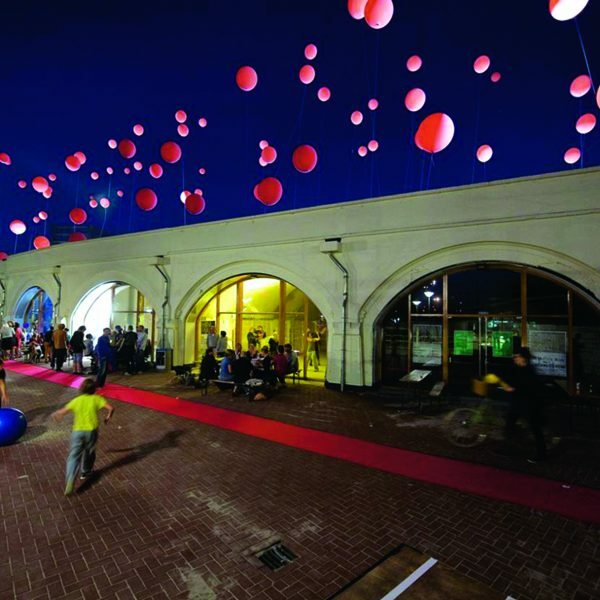 Over the last years, the programming of activities at the square has increased by cultural productions of the institutions as well as external events.